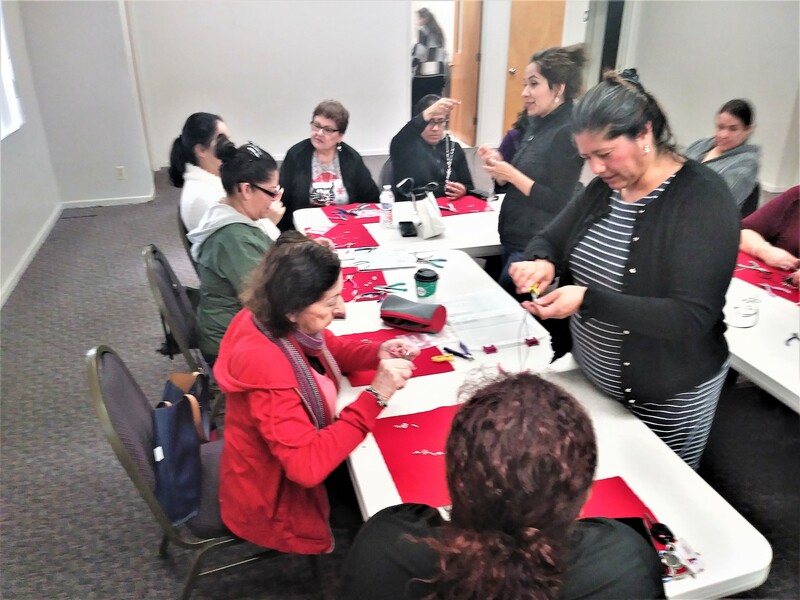 When Elena heard about Ethnos Art Connections, a free arts program developed by Ethnos Community Church, she did not just find art—she found salvation. “Many families in Bellflower have a special connection and desire to make and develop arts, but we discovered there are no arts programs for free,” said Tomas. Ethnos applied for a Resonate Community Engagement grant so the church can offer painting and beadwork classes for children and adults. When Elena heard about the classes, she recognized an opportunity to pursue an interest and develop new skills. She joined a painting class taught by Cristina Ivens. With a brush in hand, Elena came to life. But Ethnos Art Connection is not just about connecting to creativity. It is about connecting to Christ. After attending a few classes, Elena was invited to a prayer gathering, where she asked for prayer for her family. Today, two years later, Elena is living a new life. Her husband and son have also accepted Jesus as Lord and Savior, and Elena’s son is in counseling to start healing. Elena is still painting as a student at Ethnos Art Connections. She is also an assistant to the instructor, Cristina, and is starting to promote her art. Elena has also become a part of Ethnos Community Church’s core team.